Pioneers in the industry, we offer smart wood fence from India. By keeping track with the market development, we are offering optimum quality Smart Wood Fence. This wood fence is precisely designed utilizing optimum grade material and ultra-modern technology keeping in mind the all standards. The wood fence is offered in different customized options as per the needs of customers. 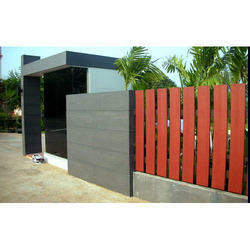 Customer can avail this wood fence from us after complete check from our end. Looking for Smart Wood Fence ?